When the 1976 Olympics were held in Montreal, Harvey Glance was the man to beat. Today, Harvey Glance is the coach of Kirani James. He won a Gold medal at the 1976 Olympics in the 4x100m relay, as well as winning several Championship events (1985 World Cup, 1986 Goodwill Games, & 1987 World Championships). And he matched the WR of 9.9 before January 1, 1977 when FAT was mandatory for record purposes. 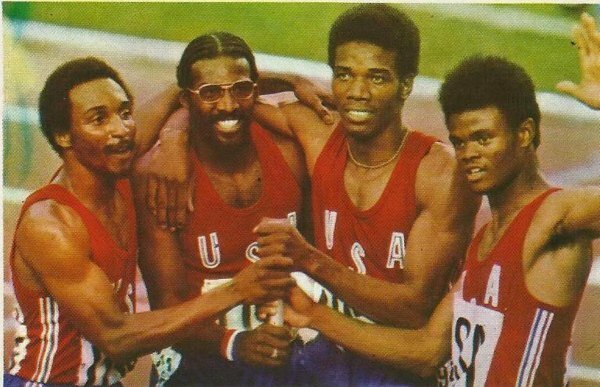 Above: USA 4×400 team of Fred Newhouse, Benjamin Brown, Herm Frazier, and Maxie Parks. Thanks Ray Corley for the correction! In this video on Vimeo, Glance gives a 10 minute speech shortly after James won the Commonwealth Games 400m. It’s standard motivation talk about commitment and motivation, but the best part is where he puts Michael Johnson in his place after his comments about James losing the 2013 World Championships. MJ either said he ran the first 200m too fast, or perhaps he was sick? At least James finished the race. 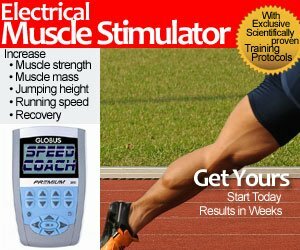 MJ did not finish the 150m showdown against Donovan Bailey in 1997, due to an injury or faked injury.